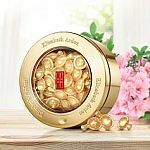 Estee Lauder has Free 7-pc Gift with $45 Purchase with your choice. Shipping is free. E-List Member with 250 points has 20% off with code "ELIST20"